has her B.S. in dental hygiene from Marquette University. She has been working for Dr. V for 30 years. Vicky works every day except for Fridays. Colleagues describe Vicky as "very thorough", "popular with patients", and "the veteran of the team". has her A.S. in dental hygiene. She has been working for Dr. V for 12 years. 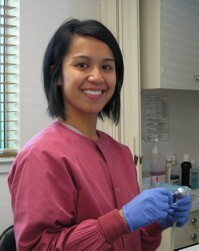 Colleagues describe Melissa as "a great hygienist" and compassionate and fun to be around. Melissa works Monday, Wednesday, and Friday. has her A.S. in Dental Hygiene. She has been working for Dr. V for 12 years. Rose works Tuesday and Wednesday. Colleagues describe Rose as "a sweetheart" and "gentle and considerate with patients"
has her AS in dental hygiene. She is the newest member of our hygiene team. She has been a hygienist for over 35 years. Colleagues describe her as easy-going. Gail works on Thursdays. We are very happy to have her as a part of our team and we know you will be happy to be under her care. is a registered dental assistant (RDA) with expanded duties. 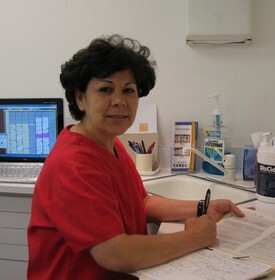 She has been working with Dr. V for 30 years, the longest of any staff member. Maria works Monday- Friday. Colleagues describe her as "lively" and comment that "patients love her". Maria wins the office award for the most infectious laugh. received her training in Dental Assisting from ROP. She has been working with Dr. V for 13 years. She works Monday- Friday. Colleagues describe Martha as "a hard worker", "diligent", and "very funny"
will always welcome you with a smile and she is always happy to help you with your appointment and insurance needs. 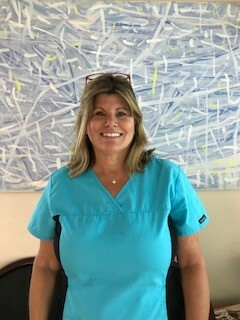 Jackie is a Registered Dental Assistant since 1999 so you might also find her helping in the back office. is our newest team member. She has been in the dental field for 19 years. 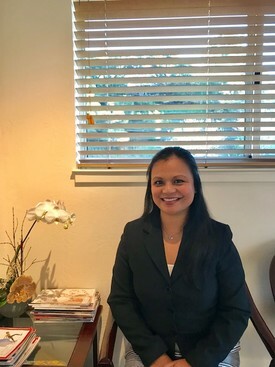 She is soft spoken and her friendly demeanor will be the first to greet you at your dental appointments.